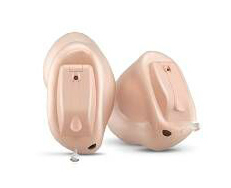 Focus Hearing offers the latest hearing aid technology from Widex, including the brand new release called EVOKE, featuring an advanced learning algorithm that remembers your preferences in all listening situations. The Widex EVOKE hearing aids are available in a range of technology levels from Premium (440), Advanced (330) and the Essential (220) to suit your lifestyle and budget. For help in deciding which technology level suits your lifestyle please refer to the guide by clicking on the button below.